It’s the smarts that are included as standard features that makes smartsteel the efficient steel framing system. These smart features make the smartsteel building system easy to assemble, cost effective and an attractive framing system for many building solutions. This is what sets our system apart from other framing systems. Protective coatings of either TrueCore® 45% zinc/55 % aluminium alloy, or zinc, defend the steel against corrosion. (Note: TrueCore® is produced in Australia by BlueScope Steel. Zinc coated steel is commonly known as “galvanized iron”). A natural phenomenon known as sacrificial protection prevents corrosion of any steel exposed at cut edges and penetrations. The protective coatings are tough, continuous, of uniform thickness, tightly adherent, and strongly resistant to corrosion. They are applied to both sides of the steel by the hot-dip process. In this process the steel strip is passed through a bath of molten metal, the amount of coating applied being closely controlled. The coating mass must meet the requirements of the relevant Australian Standard (AS 1397), or its equivalent. BlueScope Steel provides a 50-year warranty for its TrueCore® used correctly in steel house frames. 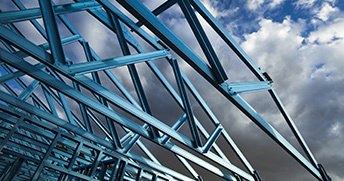 Steel framing is the only framing material for which any kind of structural durability warranty is offered. Computer aided design and manufacture permit the building of houses of almost any style and floor plan. Steel’s ability to cover long internal open spans enhances design-flexibility. Long spanning trusses also reduce the amount of support framing required, thereby reducing the cost. In some cases light steel framing eliminates the need for heavy structural sections. Factory assembly also reduces the amount of on-site labour, wastage, and site theft. These are all cost-savers. Wall and roof framing made from steel is 100 per cent termite and borer proof. 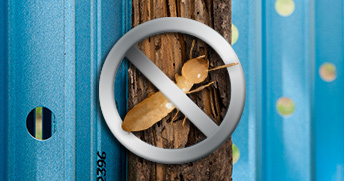 smartsteel frames don’t require additional chemical treatments to protect them from pest attack eliminating the need for the repeated use of toxic chemical treatments to defend the perimeter of the house against termite attack. Smartsteel frames also eliminate the need to use chemically treated timber in the construction of your home. The use of smartsteel frames help prevent potential harm to the environment and the people who may come in contact with the chemicals used for termite protection. 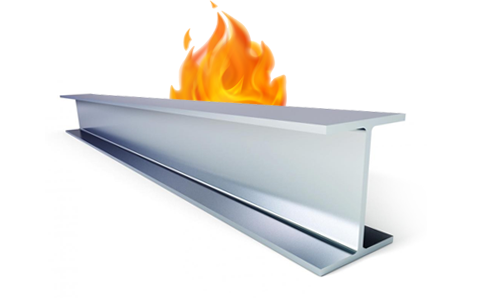 Steel is a non-combustible material, its use significantly reduces the amount of flammable material in a home simplifying the design of elevated flooring, verandahs, carports architectural features in bushfire-prone areas. Steel framing is always fully earthed, reducing the potential for concealed ignition leading to building fires.